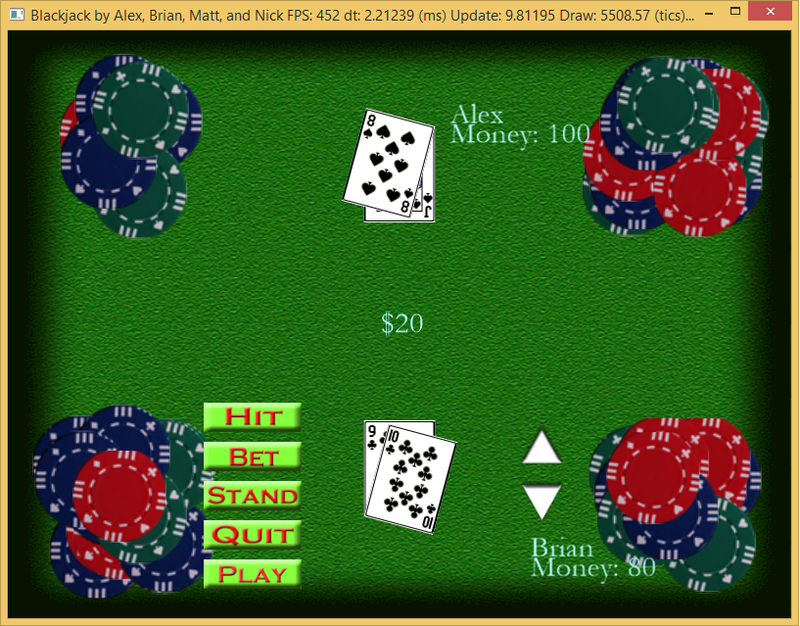 Networked Blackjack is pretty self-explanatory; I worked with Alex Herdzik, Brian Clanton, and Matthew Mundell in my Advanced Topics in Game Development class to develop a blackjack game with a focus on the networking component. During this project, our strongest asset was by far our access to Windows Azure. 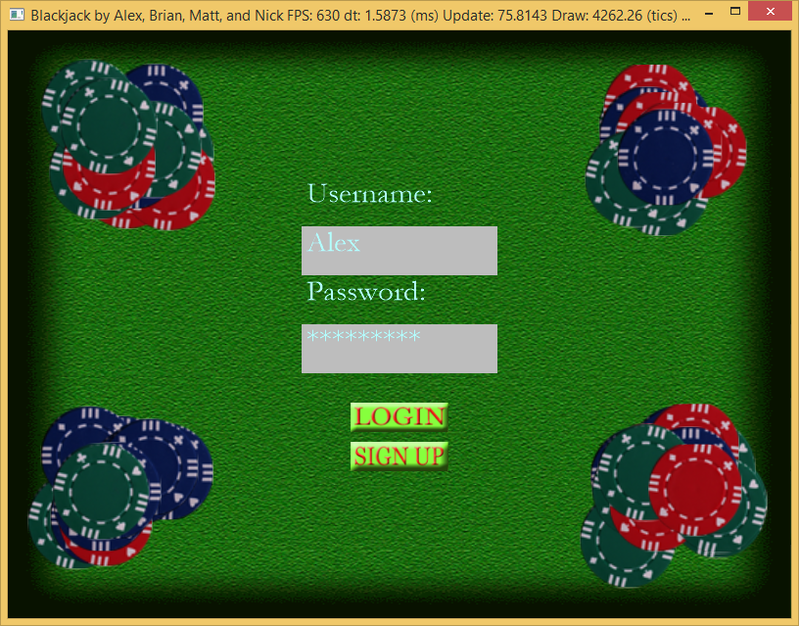 To enter the game, you first need to “sign up” by inputting a username and password. The C++ Client will then connect to the server hosted on Azure (written in C#) to create an account for you and log you in automatically. The amount of credits that you have will stay consistent, and after you create an account, you are able to log in using the same username and password, allowing you to play with the credits you have saved up. After you are in the game, you need to wait for another player to enter, then you will both need to ready up. 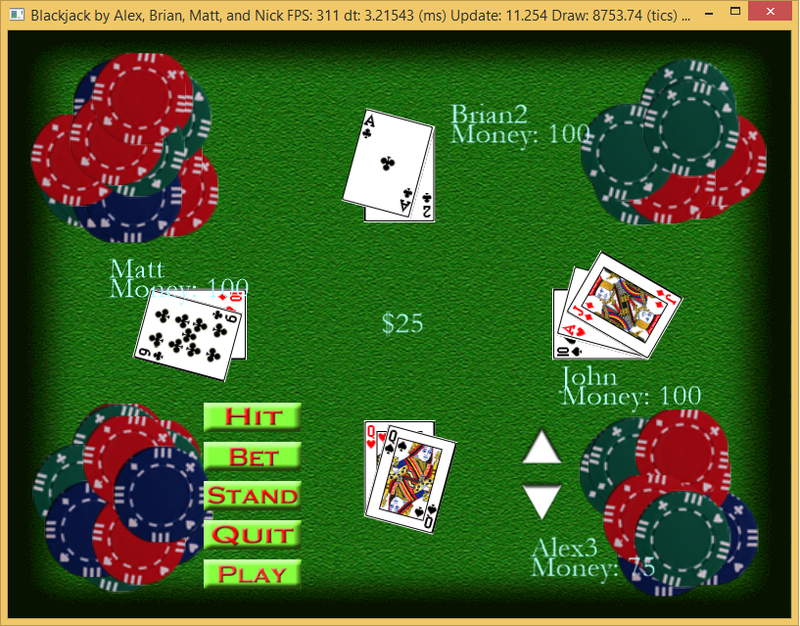 The game supports up to 4 simultaneous players. After gameplay starts, it works how you might imagine it would. Players take turns making bets, hitting and standing (and busting if they go over 21). The client was written using C++ and DirectX. Networking is done through a simple C++ TCP socket class, and a .NET socket class on the server side. The server used is hosted on an Azure virtual machine. When packets are sent to tell the server to create an account or update the credit pool of a player, the server makes a call to an SQL database, also hosted on Azure. 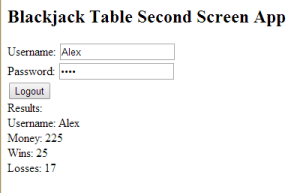 This functionality was critical to keeping player data persistent in between games, and also gave us a lot of practice in setting up servers, databases, and the connections between them. Overall, this was a great learning experience. It included a variety of programming languages, a variety of user interfaces, and the trial of connecting these different components. It gave me hands on experience with dealing with a networked multiplayer game and was a good stepping stone for my capstone game Crystalline, which is an 8 player networked first person shooter.